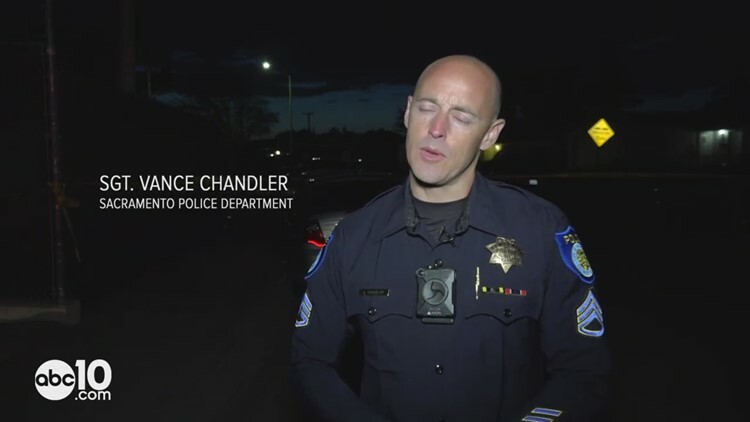 Sacramento police Sgt. Vance Chandler describes a shooting near Strawberry Manor Park that left one man dead on Saturday, April 20. 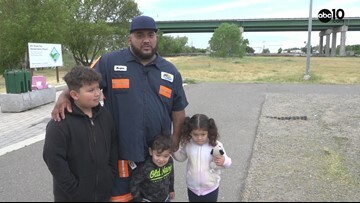 "Every time you see a tow truck driver on the road, please move over or slow down," said Gavino Munguia, tow truck driver and father of three. He drove in the processional for Shalvinesh and Roselyn Sharma. The couple died after the tow truck they were driving fell into the Sacramento River last month. Luis Martinez organized a tow truck procession for Shalvinesh and Roselyn Sharma. 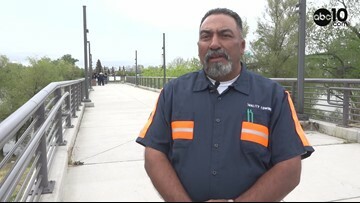 The couple died when the tow truck they were driving crashed off of Highway 50 and fell into the Sacramento River on March 26. Nearly 100 trucks drove from West Sacramento to South Sacramento Saturday morning in honor of the Sharmas. 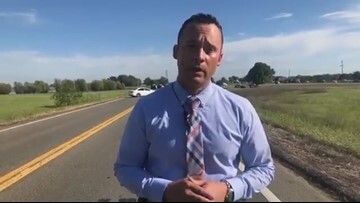 Update from Sacramento County Sheriff’s Office about the carjacking of a SMUD truck on Highway 99 at Dillard near Elk Grove. 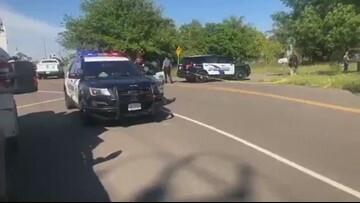 A Sacramento Municipal Utility Vehicle (SMUD) truck was carjacked Friday off Grantline and Waterman near Elk Grove, according to Sheriff's Deputies. Deputies chased after the vehicle south on Highway 99 and said, at some point, shots were fired. 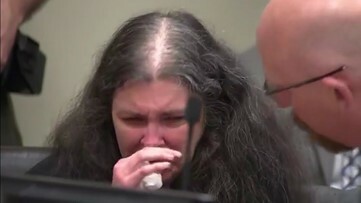 Louise and David Turpin were sentenced to life in prison for severe abuse and neglect. Deputies found some children shackled and kept in isolation. 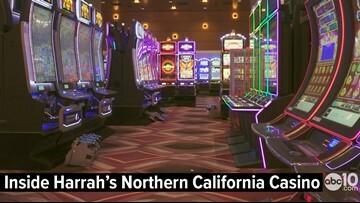 They were rescued from their home in Perris, California after one daughter escaped and called 911 for help. Fire suppression has never looked so cute. 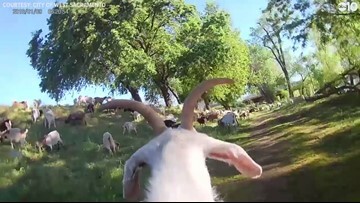 The West Sacramento Goat Cam shows what life is like for the goats who help clean up the growing brush around the city. 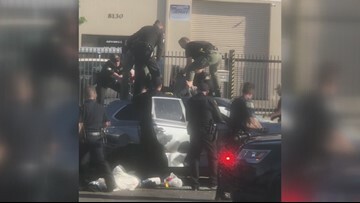 A person who was near Power Inn Road and Industrial Parkway pulled out their cell phone and recorded as police officers and sheriff's deputies moved in to arrest a man who led them on a chase all over Sacramento County. Mayor Darrell Steinberg and Councilmember Steve Hansen announced the plan to convert Capitol Park Hotel to permanent assertive housing. A beloved, long-standing community golf course is fighting to stay open, as the public district that owns/governs it considers shuttering it. At a public Cordova Rec & Park District meeting tonight, supporters of Cordova Golf Course will tell board members why the course means so much to them— and why they hope the District will opt to keep the course option. For its part, the Park District says the course isn’t financially self-supporting and would take $11 million for all the upgrades it says the course needs. CAL FIRE announced this week it’s awarding $43 million to counties across the state to pay for projects that will help prevent wildfires. Daniela Pardo went to Placer County today to check out one of the programs that is being funded by this grant. 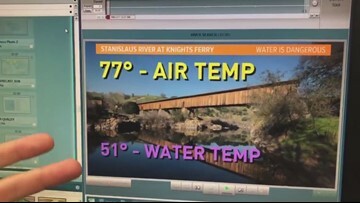 ABC10's Rob Carlmark shared this yearly reminder to NOT jump into cold river or lake water when it gets warmer in early Spring. In a Facebook live shared earlier today, Rob explained that jumping into the cold water could be dangerous and deadly. Air temp is not = to water temp. Lena Howland shared this Facebook live with an update to the Modesto Outdoor Emergency shelter system under the 9th St. Bridge in Modesto. 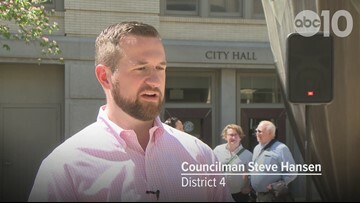 More than one month after the tent shelter system opened, city officials say that the program is working and that any night they have about 350 - 400 people sleeping here. So far, they've been able to get 40 former residents into more permanent housing. 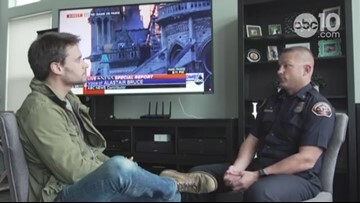 Sacramento Metro Fire District Public Information Officer Chris Vestal spoke with ABC10’s Michael Anthony Adams about the fight to save the Notre Dame Cathedral in Paris and the factors that go into tackling a building fire, especially one that’s centuries old. 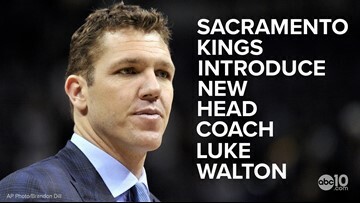 Luke Walton answers questions for the first time as the new head coach for the Sacramento Kings. Walton talks about what he expects with his new team and GM Vlade Divac explains why he feels Luke Walton is the best choice to lead the Kings.